The VMO is dedicated to the artistic, personal and professional development of outstanding young musicians. We create opportunities for talented young musicians to perform with the mentorship of seasoned professionals in front of live audiences. These are opportunities these young gifted musicians may not have otherwise had. We see the untapped potential in people caught between being professional musicians and music students. Many of these young musicians need a stepping-stone to embark on their professional musical career, and that’s what we do. instructional seminars, classes and workshops led by experts within the music profession. 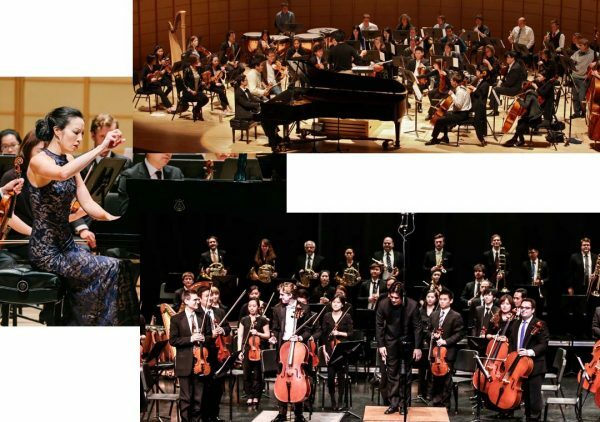 In the past eleven years, the VMO has helped launch the careers of many young talents who are now performing with renowned musical organizations around the world. As a testimonial to the success of the VMO, many of our alumni have continued their involvement with the organization by becoming a VMO mentor. We perform music from the Baroque, Classical, and Romantic periods. We also perform contemporary and popular music in special concerts with opera companies, choirs, and traditional folk music groups. Our choice of repertoire focuses on music that is commonly asked for in Orchestra Auditions. 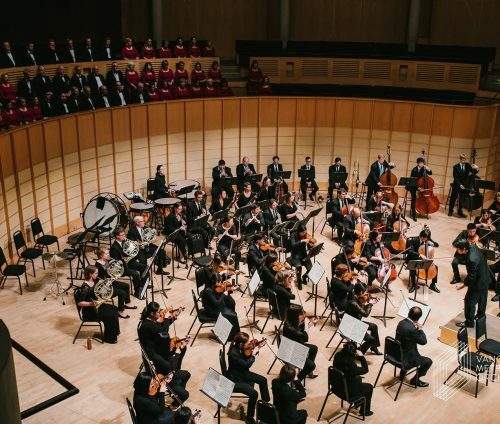 Comprised of Vancouver’s leading musicians, the VMO has developed into a fine ensemble that has taken the specialized and demanding art of orchestral performance to a very high level. A charming, passionate and compelling presence on the podium, Award Winning Conductor Kenneth Hsieh started as the Artistic Director of the Vancouver Metropolitan Orchestra in 2003. In addition to his many international guest conducting engagements, he has maintained close relationship with the Hyogo Performing Arts Center Orchestra in Japan, where he has conducted their Subscription, Masterworks, and Education series. Trevor is an award-winning pianist and composer who excels at working with live orchestra as both composer and orchestrator. He has worked extensively with the Vancouver Symphony Orchestra, Vancouver Metropolitan Orchestra (where he is currently composer in residence), and the Prince George Symphony Orchestra, specializing in creating syntheses across classical and contemporary genres. 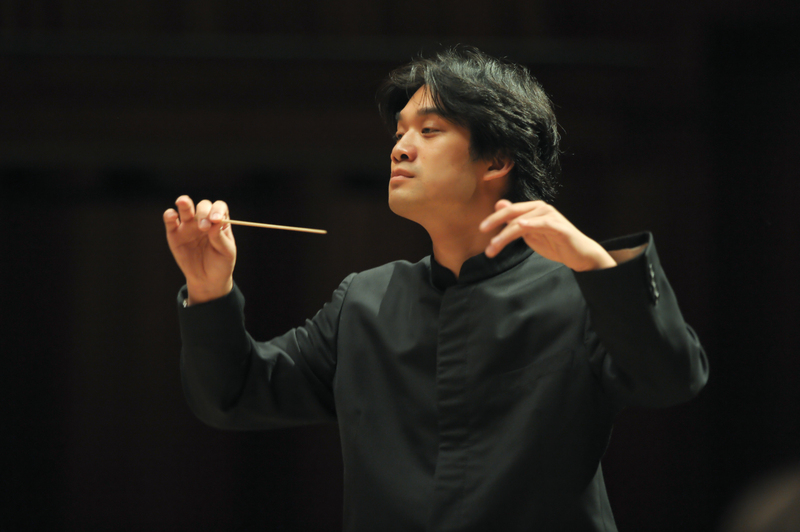 Award-winning Canadian Conductor, Kenneth Hsieh has emerged as one of the top rising young conductors to watch. The 2018-2019 season marks his 16th year as Music Director of the Vancouver Metropolitan Orchestra in addition to his many international guest conducting engagements. He has maintained a close relation with the Hyogo Performing Arts Center Orchestra where he has conducted their subscription, masterworks, and educational series. Highlights in this upcoming season includes: Ken taking the Kyushu Symphony Orchestra on tour, debut and appearances at the Shanghai Philharmonic Orchestra and the Shanghai Music Festival, the Nutcracker ballet production with the Goh Ballet and Victoria Symphony Orchestra, as well as return engagement to conduct the Japan Century Orchestra in Beethoven Symphony 9 at The Symphony Hall in Osaka, produced by Asahi Broadcasting Corporation and sponsored by Air Canada. Born in Edmonton, Canada, Ken is the winner of several prizes including the Heinz Unger Award in Conducting and the Jean-Marie Beaudet Award in Orchestral Conducting. At the age of 22, Ken was appointed Assistant Conductor of the Pacific Music Festival (founded by Leonard Bernstein) where he worked with the Sapporo Symphony Orchestra and the Pacific Music Festival Orchestra as well as serving as an assistant and collaborator to Bernard Haitink, Edo De Waart, Krzysztof Penderecki, Seikyo Kim, Yutaka Sado and Ken Takaseki. The following year, Ken became the youngest ever Conductor-in-residence/Assistant Conductor with the Vancouver Symphony Orchestra and the National Academy Orchestra where from 2004-2007; he conducted over 100 performances from the Main Subscription series to lighter and pops series concerts with the Vancouver Symphony Orchestra. He has collaborated with a wide range of distinguished artists such as Cyprien Katsaris, Mayuko Kamio, Tamaki Kawakubo, Janina Fialkowska, Ryu Goto, Anastasia Chebetorova, Holly Cole, Natalie McMaster, Ikuyo Nakamichi, Kosuke Atari, Three Celtic Tenors, and John Pizzarelli. Several of his concerts have been recorded live and broadcasted on CBC Radio across Canada. His concerts have also been broadcasted on television in Taiwan, Japan, Canada, and the USA. Ken made his France debut with the historical l’orchestre Lamoureux, performing at their subscription concert at the Theatre Champs-Elysee in Paris, France. Remaining dedicated to promoting young artists and education; Ken works often with Youth orchestras including the Vancouver Youth Symphony Orchestra, Surrey Youth Orchestra, BCMEA Honor Orchestra, as well as the Japan Junior Philharmonic Orchestra as their summer session conductor in a series of concerts that included a benefit concert for the United Nations (World Food Program) in the Tokyo Metropolitan Art Space. He is a guest professor and conductor with the National Tainan University and has worked with the Geidai Philharmonia, preparing them for the Martha Argerich Festival in Beppu, which was later conducted by Antonio Pappano and Seikyo Kim. 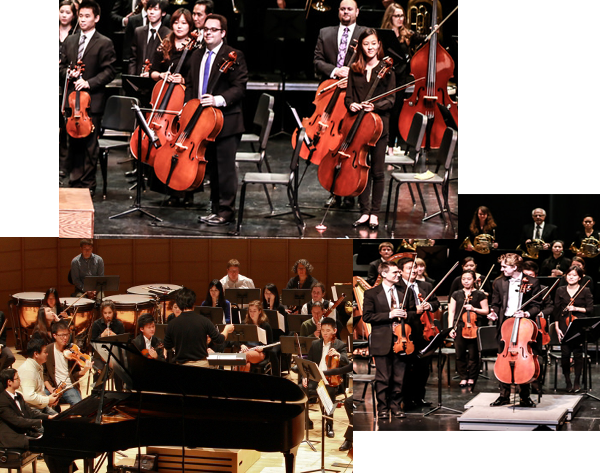 The Vancouver Metropolitan Orchestra is led by staff comprised of members of the community who are dedicated to the uncompromising pursuit of artistic excellence and the development of an outstanding professional development program. 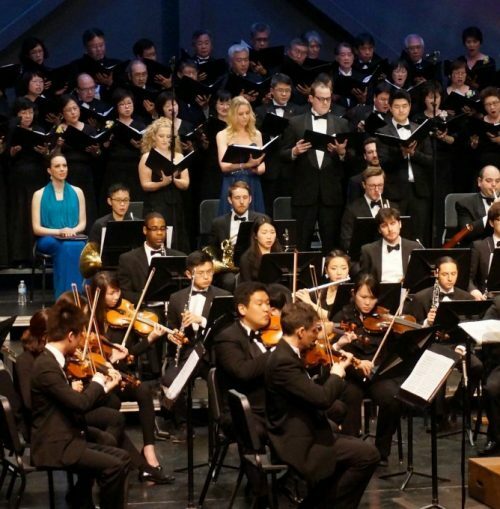 The Vancouver Metropolitan Orchestra is led by a Board of Directors comprised of members of the community who are dedicated to the uncompromising pursuit of artistic excellence and the development of an outstanding professional development program.